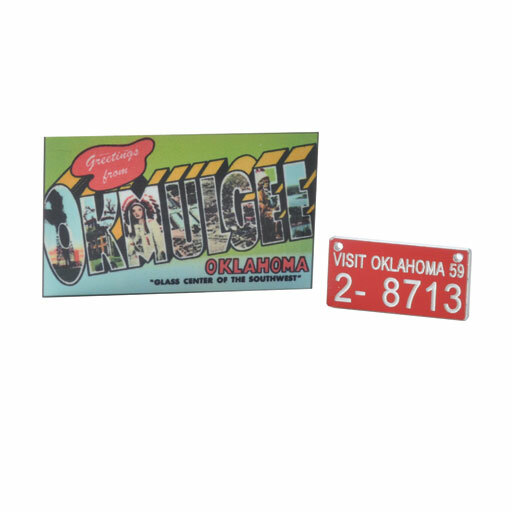 Printed metal sign replicates a colorful vintage postcard. Wooden license plate has 1950s date. Sign: 1 7/8" x 1 1/8"